There are some pairings that draw instant hype. This is one that caught my attention from the moment I read about it the other day, and it turned out to be true! Yang Mi (Legend of Fuyao) and Wallace Huo (Ruyi's Royal Love in the Palace) have just started filming for their latest drama Ju Jiang 巨匠 (translates to The Great Craftsman) which marks their third time working together. The first was in Chinese Paladin 3 where they had their respective pairings. The second time was in the movie Reset where they played enemies since Wallace Huo literally played the psycho who kidnaps Yang Mi's son. This time, the two will finally see eye to eye as they portray level-headed architects who excel in their field, and I kind of love that it's a period drama which is an opportunity for both to don the old 1920's glamour. 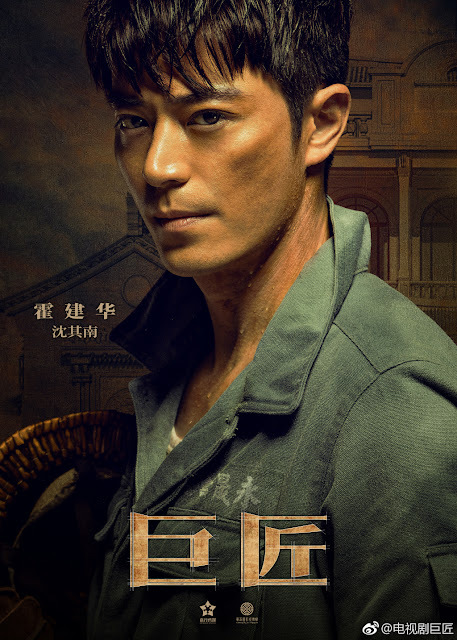 It seems like a story that will focus more on Wallace Huo's Shen Qinan as the main protagonist whose drive and diligence pushes him to succeed. The drama will undoubtedly also interlace with the greater conflict of that time. Yang Mi seems to have great chemistry with her Taiwanese leading men. Ten Miles of Peach Blossoms with Mark Chao was a huge hit, and a lot of people are anticipating Legend of Fuyao with Ethan Ruan. I have good feelings about this one and yes, Wallace Huo's from Taiwan too. It is produced by Jaywalk Studio and Mandala Media. This could be really good, if the writing is good. 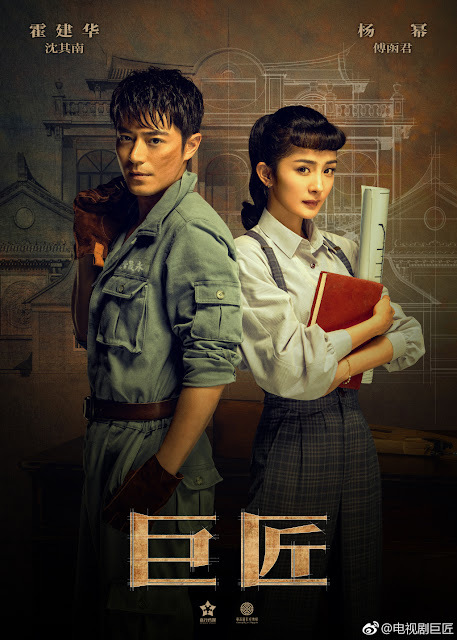 I loved Battle of Changsha with Wallace Huo, which is set around the same time period, due to its superb writing. Either way it will be a highly anticipated drama just for its casting. Wow. Yes! Something to look forward too down the line. I also live this time period and am watching The Disguiser now. She has better chemistry with more experienced actors. Period. LYF and HZT were horrible. She knows that. Wallace huo is not a good actor. I don't care how many times people tell me he was good in battle of changes he was bad in everything else and other mediocre actors were very good in battle of changsha so I attribute the acting in that to the director. yang mi has had insane chemistry with many of her costars, feng shao feng and huan xuan. Rather than attributing the success to the men I would attribute it to her because she is the main link here. she is able to propel a male costar to the top, whether they are from Taiwan or China. she even had chemistry with Huang xiaoming during her various small roles with him. 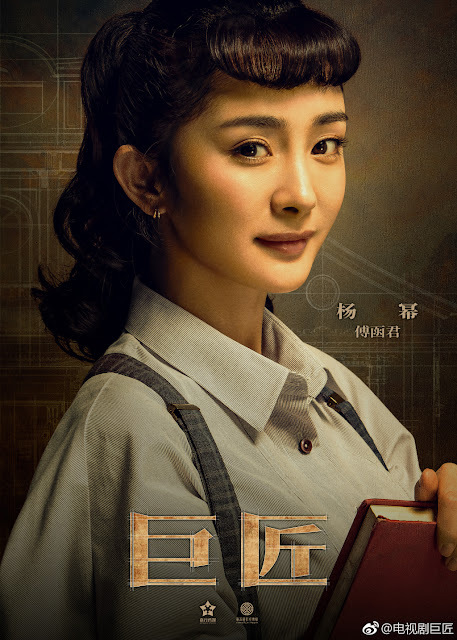 Yang Mi has that "it-factor" in her - she might not be the most talented actress but you would want to watch her dramas. I'm happy she's paired with Wallace; they make an attractive pairing. Really nice posters! Those are ugly bangs but YM look very very beautiful in it, so gorgeous! Love how she carries a book and paper, and there are dirty marks and sweat on WH. I can feel their character already although I don't know what they will be like yet.